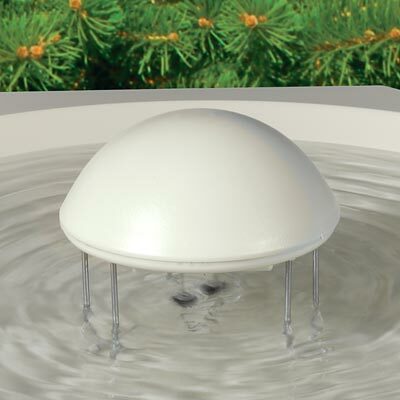 Help attract birds to your area while keeping the water free of mosquitoes with the Allied Precision Water Wiggler. This tool creates soft ripples in your existing bird bath, to help attract birds to it. The moving water prevents mosquitoes from laying eggs on its surface, diminishing the threat of mosquito-borne diseases. Three legs keep the wiggler stable inside your bath, while a stirrer in the center offers unique agitator action for gently moving water. Floats on the stirrer keep it off the bottom of the bath, for lasting ripples. Two D batteries (not included) keep the item working for up to two months continuously, or longer if used intermittently. Place the wiggler in a heated bath in the winter for added avian visitors. Have a busy bird sanctuary without mosquitoes using this Water Wiggler. One year limited warranty.